Stained glass is beautiful and classic which sums up the type of stained glass wedding gifts that I would like to give. 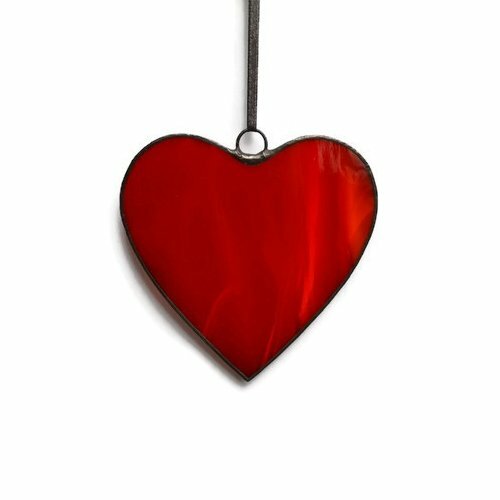 There are many stained glass gift ideas that feature different themes, colors and shapes to make it easy to find that perfect gift. 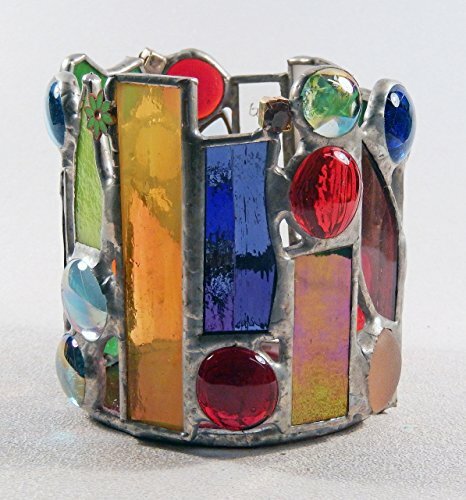 If you are looking for a timeless gift that a couple will enjoy for a very long time, stained glass fits that order. To find the best design for your wedding couple, think about their likes and hobbies, as well as home decor colors. Gorgeous panels to transform windows into a work of art. Let the light shine through each and every one of these pretty stained glass panels. A fabulous alternative to blinds and shades to give privacy or a lovely view. Share an outstanding art piece with the bride and groom and they will treasure it always. 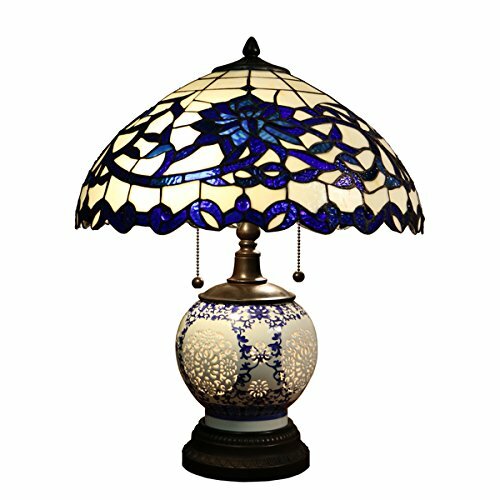 Tiffany style lamps never go out of style and are made to last forever. 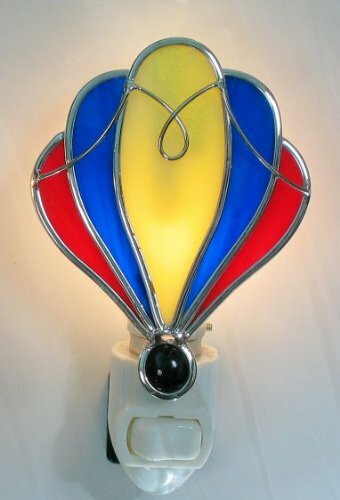 That’s why this elegant lamp would be a special treat for a couple who enjoys stained glass. 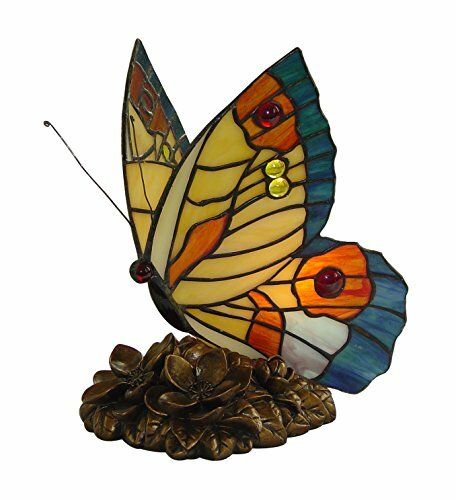 The shade is made of real hand cut stained glass and enclosed in fine copper to make a solid and sturdy piece. The base is a lovely porcelain that matches the beauty of the glass shade. A bronze finish gives this lamp an extra special touch. 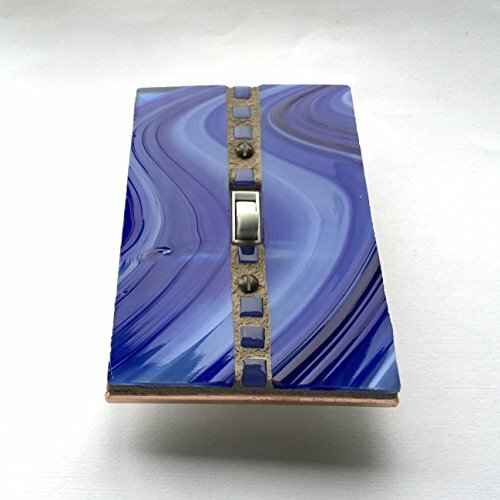 A unique work of art that is hand-crafted and each is one of a kind. 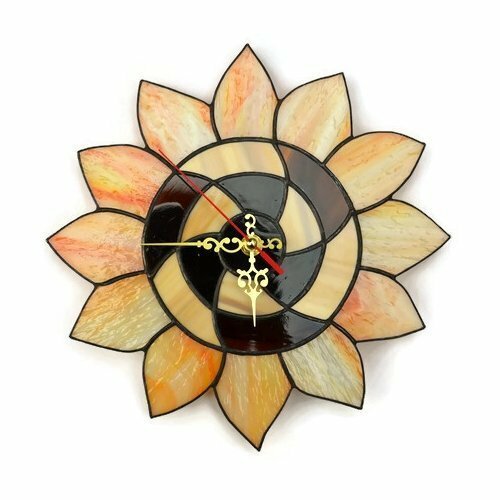 This pretty sunflower clock comes alive in shades of dreamy orange and wisps of brown with complementary gold clock hands. The stained glass pieces are gorgeous as they come together in a sunflower display. There are so many rooms that would welcome a beautiful art piece such as this to display. 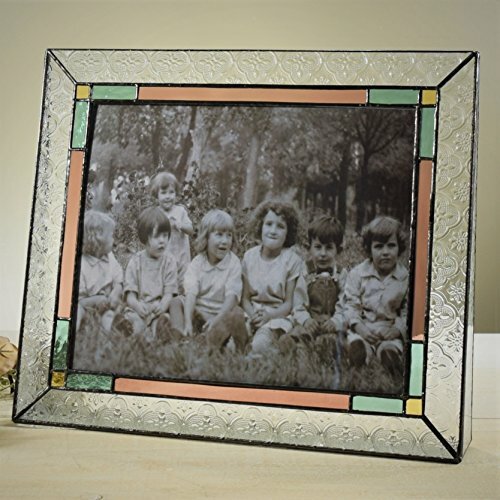 If you are looking for stained glass gift ideas, a lovely handmade mirror is unique and special. This is a wedding gift that no one else will have because it is handmade and each piece of glass and mosaic is carefully placed. 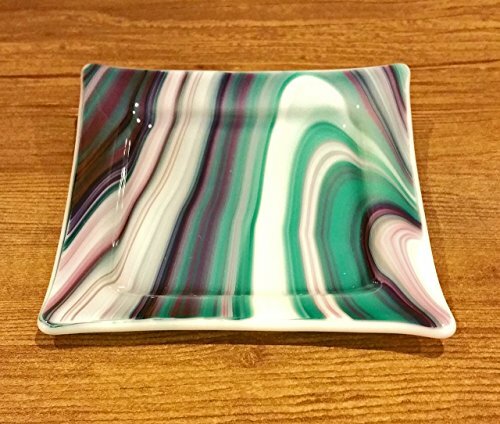 The jewel tones in this piece are so vibrant and alive with so many complementary colors that will fit in any decor. 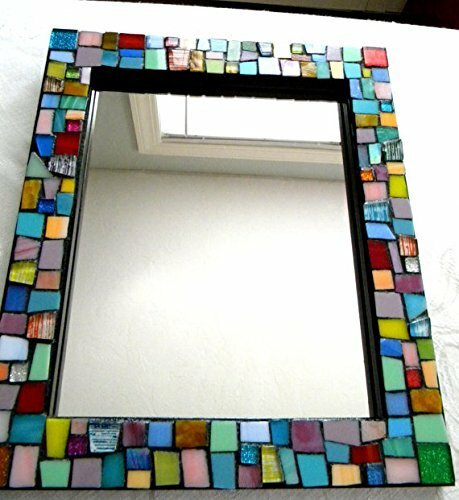 A beautiful mirror framed in colorful mosaics and stained glass makes this a on of the “wow” stained glass wedding gifts. A charming vintage style photo frame is a welcomed gift for newlyweds that are ready to frame their wedding pictures. And how pretty is a stained glass frame full of decorative spark! For me, this stained glass frame is a timeless treasure that a couple would admire for many a year. Time may come and go but this frame will always hold an adored photo, whether it be a wedding photo or a cherished family photo. I love the butterfly and the mirror. These would make great wedding gifts. There is something about stained glass that makes me really admire it. Maybe it’s the combination of colors, the design or just the way light seems to peak through. I love the mirror! Gorgeous. The sunflower clock is my favorite, too. Stained glass is so beautiful and an interesting hobby to pick up (I know several people who do it). 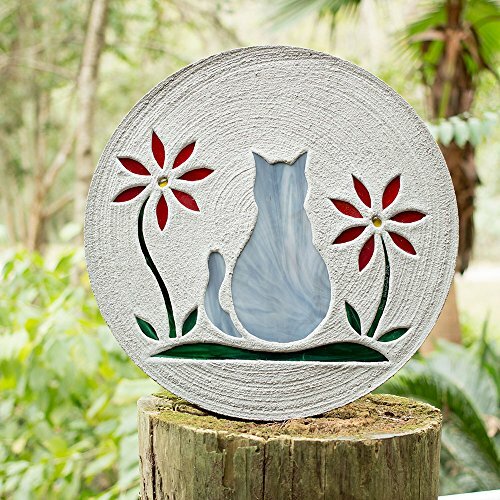 Your selection of stained glass pieces for gifts are beautiful! These are so beautiful – and such a lovely idea for a wedding gift, very unique too! Stained glass is so stunning, I love the look of that Tiffany night light. 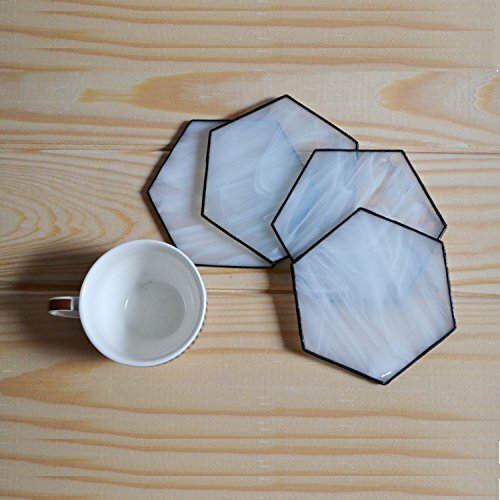 Stained glass as a gift is a very fresh idea. Things like these aren’t easy to make and difficult to purchase. Having to receive such will make the receiver feel more special. This is a very nice read. I love stained glass windows they are so pretty and colorful! I remember I used to see them most in cathedrals. These pieces are so lovely! I love the butterfly, it is so beautiful. I like that stained glass lamp. Looks vintage and expensive, a lovely gift.